Do allergies control your life? For many of our patients, it feels that way. Severe allergies make going for a walk, visiting a friend who owns pets, or running on a trail outside difficult or even impossible. Like anything that is or was complicating your life, you’ve tried your best to reduce its impact. You’ve consulted with doctors, searched online for solutions, hid inside away from allergens, and received allergy shots. Allergy shots are a common treatment for severe allergies that require regular doctor visits and getting poked frequently with needles. “I was making 2-3 visits a week to my local doctor. I soon realized that I was spending at least an hour of my time for each shot, and this time was making it difficult for me to manage my weekly schedule and have enough time for everything I needed to do each week,” says Erica B., an Illinois resident who used to rely on allergy shots. While no one enjoys getting a shot, avoiding treatment is also not ideal. 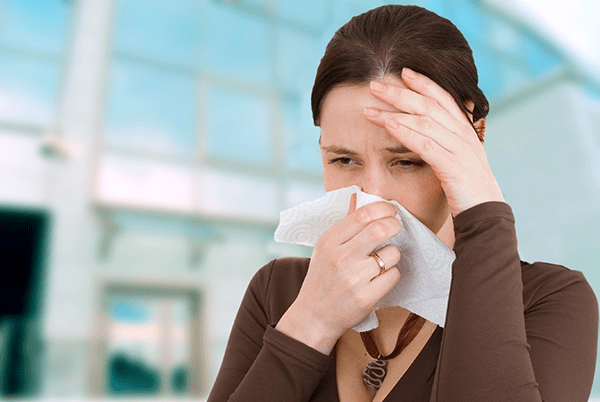 Without taking shots for your allergies, you may experience sinus infections, severe allergy symptoms and reactions, inflammation, and the worsening of other conditions, including asthma. Stop spending your time waiting in doctor’s offices for a shot and explore how allergy drops can make your life simpler, saving you time and allowing you to avoid needles. What are Allergy Drops and How Can They Help You? Allergy drops are sublingual immunotherapy (SLIT) -- an allergy treatment that you can give yourself. They are known as an alternative treatment to allergy shots and were first made popular in Europe. These drops contain a small amount of your allergens, and are simply placed under your tongue using a dropper. You hold the liquid under your tongue for one minute before swallowing, meaning the entire process takes less than a couple of minutes, allowing you to go on with your day. Similar to allergy shots, the allergens in the drops help stimulate your immune system, but without the time, pain, and inconvenience associated with weekly visits to your doctor. At Illinois Sinus Center, we seek convenient and effective treatments for all of our patients. There is no one allergy treatment or therapy that works for everyone, but allergy drops have proven to be an effective alternative to allergy shots for our patients. Before your next allergy shot, meet with our specialists to learn if allergy drops are a better allergy treatment for you. Schedule your consultation with Illinois Sinus Center below.